How can an IT resource be accessed when its pre-defined path is lost or becomes unavailable? When the path to an IT resource is lost or becomes unavailable, the IT resource becomes inaccessible. 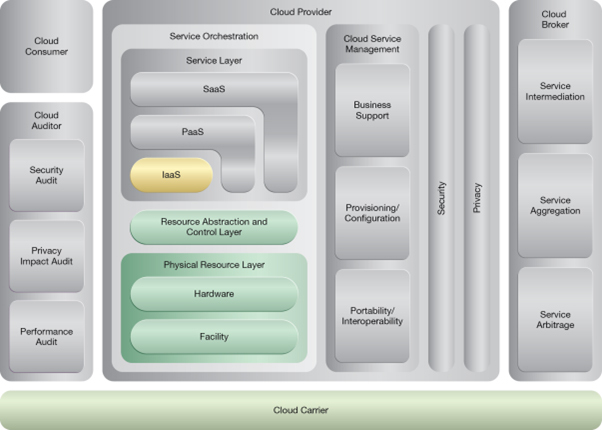 This can jeopardize the stability of an entire cloud-based solution until the cloud provider is able to supply the cloud consumer with the lost or updated path. Alternative paths to IT resources are provided to give cloud consumers a means of programmatically or manually overcoming path failures. 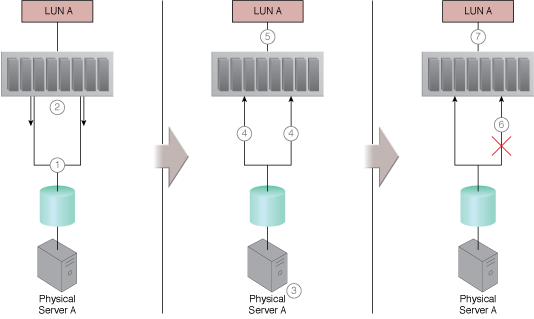 A multipathing system that resides on the server or hypervisor is established to provide multiple alternative paths to the same, unique IT resource, while ensuring that the IT resource is viewed identically via each alternative path. 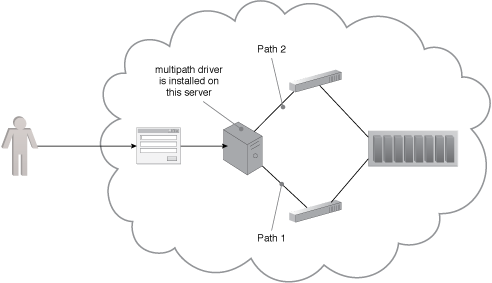 A multipathing system providing alternative paths to a cloud storage device. An example of a multipathing system. 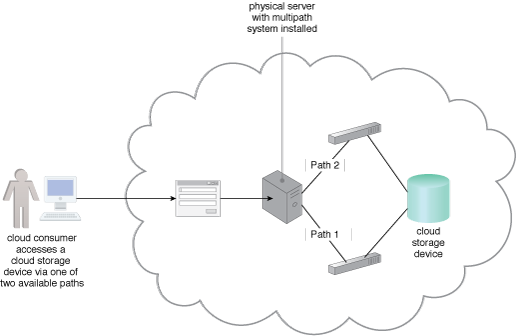 A multipath driver is installed on a server to ensure that the operating system understands the redundant paths and views two paths leading to the same IT resource as two separate IT resources.